This innovative rover product provides the operator with three solutions with the purchase of one high quality product. This Rover machine is a chipper, shredder and vacuum giving you everything you need to keep on top of your property. Powered by a 159cc Rover OHV engine this machine will have plenty of grunt for all the jobs you require it to do. 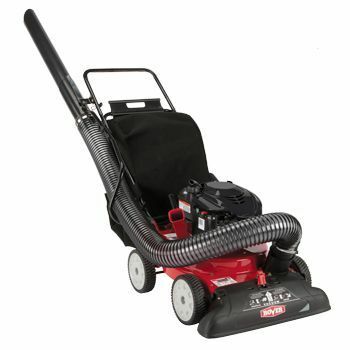 The hose is an easy to use chipper / shredder vacuum allowing you to reach those areas you otherwise would miss. With a chipping capacity of up to 3.8cm and a 70 litre bag this really is an all rounder when it comes to backyard maintenance.